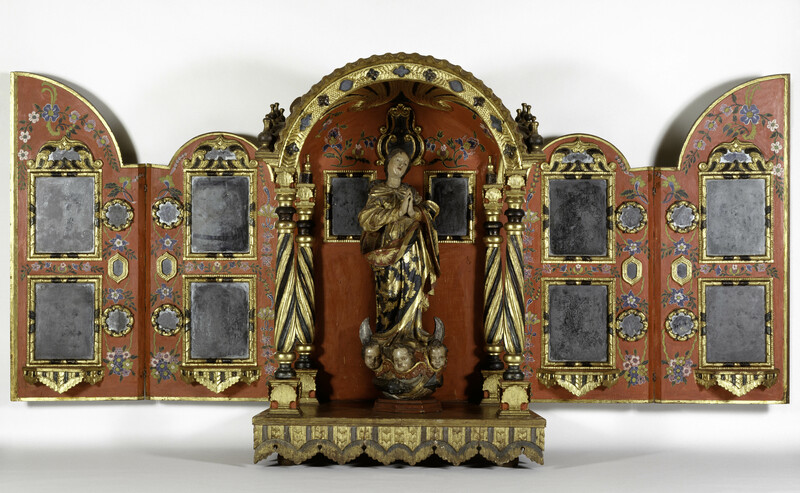 "Power and Piety: Spanish Colonial Art" features exquisite works from the Patricia Phelps de Cisneros Collection, primarily from Venezuela but also from Mexico, Brazil, the Philippines, and Bolivia. 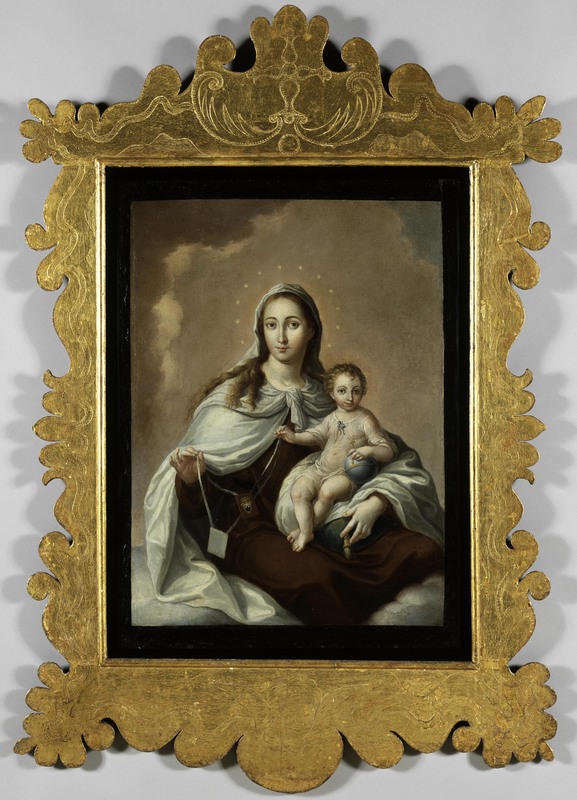 It also includes a beautiful painting of “Our Lady of Mount Caramel” by well-known Puerto Rican artist, José Campeche (1751-1809), whose works were the central exhibit at New York City’s Metropolitan Museum of Art in 1988. Primarily from the 18th century, the paintings demonstrate the wealth of the patrons who owned the works, the intense devotion to the Virgin of Carmel often shown rescuing souls from Purgatory, and the deep religious fervor of the era despite which governments in South America and México were passing laws at that time to limit the power of the Church. A distinguishing feature of the many works from Venezuela is the penetrating deep brown of the subjects’ eyes that, unlike most religious figures in art whose gaze is piously down, look right out at the viewer. A large Mexican painting of San Miguel Arcángel is labeled as “artist unknown” (desconicido). However, in this writer’s opinion, its beauty is equal to known works by Mexico’s arguably most revered colonial-era artist, Miguel Cabrera. Also worth noting are the paintings’ frames – some beautiful and elegant and others charming works of carved folk art. While many of the paintings in the exhibit hung in churches, two sections of personal religious objects featured in Power and Piety are “Art for Private Devotion” and “Religious Art at Home” with a prominently featured magnificent Mexican tabernacle commissioned to display both the owner’s piety and social status. Accompanying the exhibition is a splendid catalogue of the entire Patricia Phelps de Cisneros Collection. Also, on September 9, a fascinating art installation exhibit by Puerto Rican artist, Ángel Suarez-Rosado entitled "Talisman" opened. The Allentown Art Museum is located at 31 N. 5th Street in downtown Allentown - open Wednesday through Saturday from 11 a.m. to 4 p.m. and free on Sundays, noon to 4 p.m. There is a parking garage a block away at 603 6th street corner of Linden.